Simply Find Me Just $399 Including 12 months service. Simply Find Me is a complete, ready to go 3G based GPS Tracking system. Simply Find Me is a battery powered system with an amazing battery life of up to 5 Years based on a daily update. An alert is sent when the batteries are running low. We understand that many customers only need a simple, yet effective tracking solution that is easy to use and can work out the box without the need for professional installation. 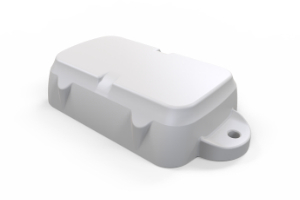 Battery powered for easy deployment the Find Me device can last up to 5 years on a set of standard Lithium batteries. What are the costs after the first 12 Months? The Simply Find Me device provides a location update every day. This way you can be sure its alive! The Simply Find Me device is a battery operated water proof, dust proof tracking system with up to 5 Years battery life³. The housing screws together for easy assembly, and has 2 convenient mounting tabs. It also has ‘strap slots’ allowing the Simply Find Me Device to be cable tied or metal strapped to an asset. The Simply Find Me Device uses 3 x “AA” size 1.5V Lithium batteries which provide a balance between size and capacity and comes supplied with your order. The Simply Find Me Device must be fitted with off-the-shelf 1.5V Lithium batteries. These are readily available from retail outlets, for example Duracell and Energizer. The Simply Find Me Device uses both the GPS and GLONASS positioning systems simultaneously. This allows the SU-6800 Mini to operate where normal units will fail to receive GPS signal – like in a container stack! The Simply Find Me device will wake up and provide a location up date. When the device stops moving it will send another location up date.